Rates: Up to - 6 passengers! Time & Destination: You select the time & destination as well as what to bring onboard as your choice of food and drink! What to wear: Soft sole comfortable shoes, bring a jacket incase it gets cool, and clothing that makes it easy for you to climb in and out of the boat. All rides are subject to cancellation or modification due to weather conditions at the judgment of the captain. The vessel has a weight and space limitations. Please inform us of any special needs or conditions at the time of booking. Passenger safety and comfort are our number one concern. 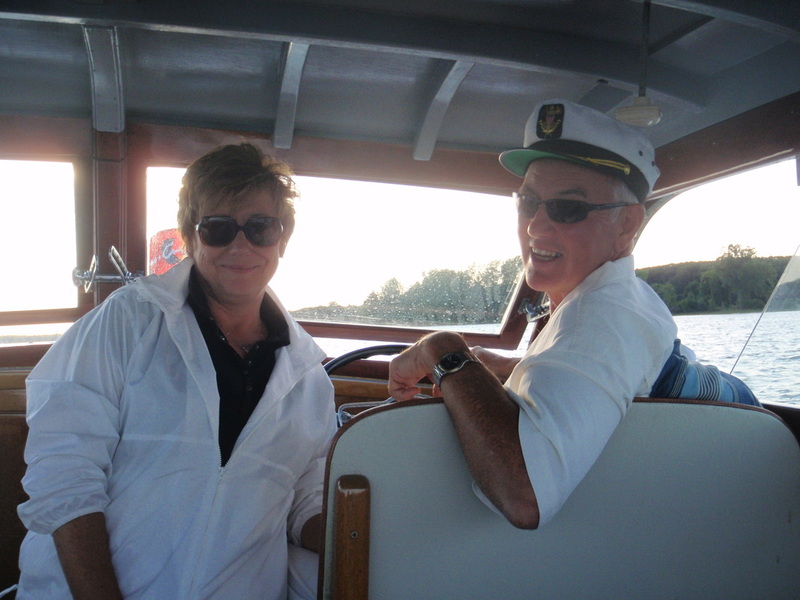 The captain reserves all rights in determining whether the vessel leaves the dock or returns early due to weather conditions or conduct of the passengers. Boarding and unboarding requires a degree ofphysical fitness. Describe any special conditions at the time of booking so there are no disappointments on the day of the cruise. Cancellations due to inclement weather: Rescheduling based on availability otherwise fare refunded. Follow I-190 South to Exit 14 Ontario St. Take a right turn and at the 3rd signal (Hamilton) turn right. Make a left turn on Dann St. once you pass back under the I-190. You will stay right as you approach the I-190 ramp and it will appear that you are headed for the US Army Corps of Engineers. Just prior to the concrete barricades you will turn right into the driveway between the two gray buildings. 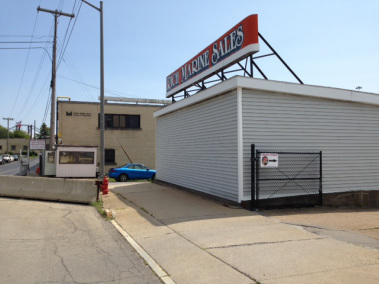 There is an orange sign that says Rich Marine. door near the “Woodies” sign. Note: See pictures on right. into the driveway between the two gray buildings. 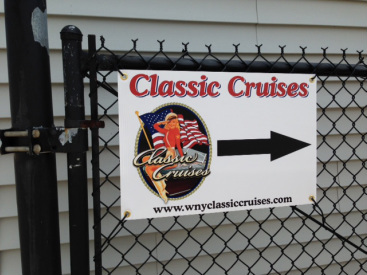 We are looking forward to meeting you and making your custom cruise memorable!